Running low on data and need to use the Internet? Do you want to post your travel escapades on Facebook and you do not have access to Wi-Fi? Worry not. Facebook is here to rescue you. Last year, Facebook came up with a beta version that helped locate free Wi-Fi hotspots around you. Now, it is rolling out this feature globally for both iOS and Android versions of the Facebook app. 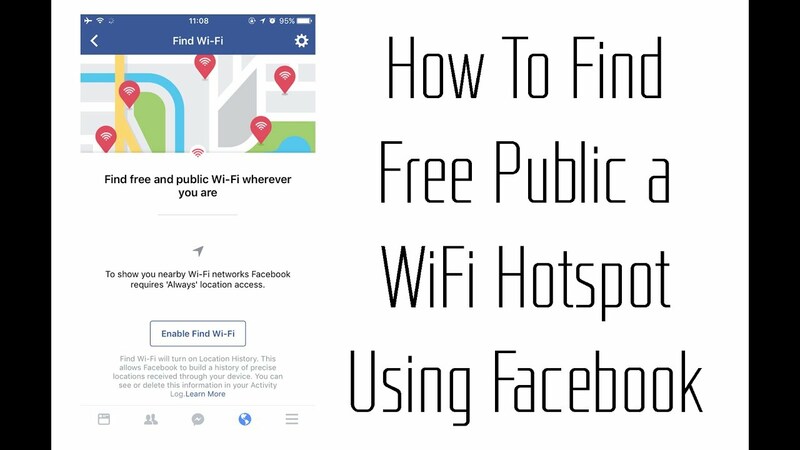 Let us go into the details of how Facebook can help you find free Wi-Fi hotspots. How is ‘Find Wi-Fi’ Feature of Facebook Useful? The ‘Find Wi-Fi’ feature is useful for international travelers as well as local travelers who need data to use the Internet. College students running low on data packs or international travelers who need to save their roaming data will find this feature useful. Businesses also find it useful as it helps them earn real money by drawing in people who visit their stores for free Wi-Fi and end up purchasing their products or services in return. Many cafes, restaurants as well as eateries find it profitable to patrons who come in looking for free Internet and end up spending money on their food. This way all benefit and stay connected. 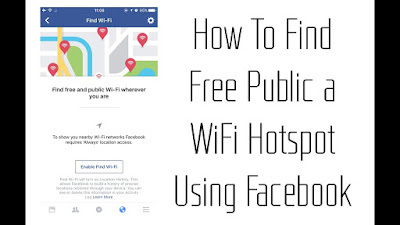 How to Find Free Wi-Fi hotspot feature on Facebook? First and foremost, in order to access the find Wi-Fi feature you need to have access to data. Only then can you scan for free Internet networks around you and enjoy surfing freely. Open Facebook app and tab on the ‘Hamburger Menu’ or the ‘More’ tab that is indicated by the three vertical line button. Go to the ‘Explore’ section and look for ‘Find Wi-Fi’ feature on an iPhone. Android users need to go to the Apps section for ‘Find Wi-Fi feature’. You may need to allow Facebook to access your location for the feature to work efficiently. Once the permission is granted, it will locate all free Wi-Fi hotspots around you. This will be visible in terms of Business that share information regarding free hotspot on their Pages. You will find businesses with free Wi-Fi on the top along with the name of their Wi-Fi network name. Or it will display the list of locations as per walking distance where you can find free Wi-Fi. Facebook will list businesses along with their category, that is, if it is a coffee shop, retail store or an ice cream parlor. It even shows their business hours so that you know which place is the best to visit and when. You can even find the direction to the business offering free Wi-Fi on Facebook Page. This is all you need to do to use Facebook’s ‘Fine Free Wi-Fi’ feature. It is very useful in case you need an Internet connection in an emergency or when you data network signal is very weak.